Leonardo DiCaprio (Jordan Belfort), Jonah Hill (Donnie Azoff), Margot Robbie (Naomi Lapaglia), Matthew McConaughey (Mark Hanna), Kyle Chandler (Agent Patrick Denham), Rob Reiner (Max Belfort), Jon Bernthal (Brad), Jon Favreau (Manny Riskin), Jean Dujardin (Jean Jacques Saurel), Joanna Lumley (Aunt Emma), Cristin Milioti (Teresa Petrillo), Christine Ebersole (Leah Belfort), Shea Whigham (Captain Ted Beecham), Katarina Cas (Chantalle), P.J. Byrne (Nicky Koskoff (‘Rugrat’)). Directed by Martin Scorsese and produced by Riza Aziz, Leonardo DiCaprio, Joey McFarland, Scorsese, Emma Tillinger Koskoff. 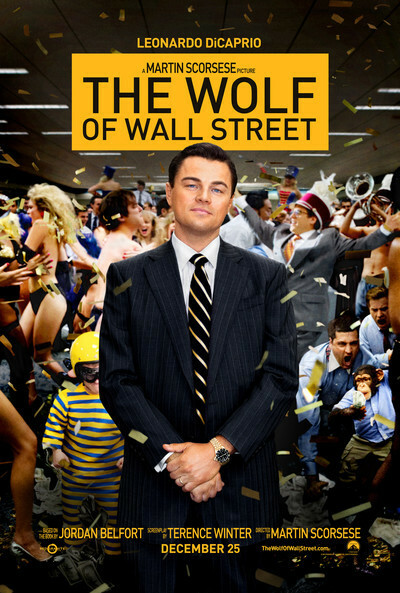 Screenplay by Terence Winter, based on the book by Jordan Belfort. 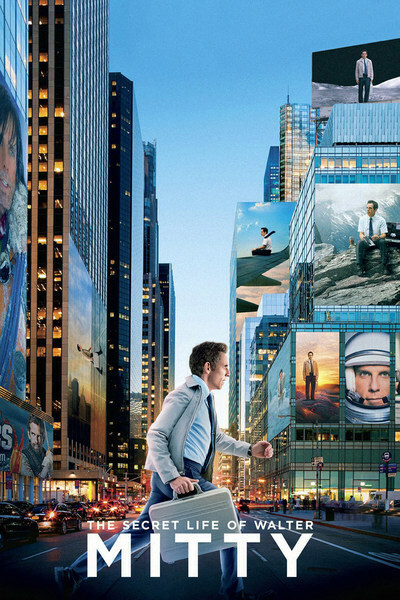 Ben Stiller (Walter Mitty), Kristen Wiig (Cheryl Melhoff), Jon Daly (Tim Naughton (as Jonathan C. Daly)), Kathryn Hahn (Odessa Mitty), Terence Bernie Hines (Gary Mannheim), Adam Scott (Ted Hendricks), Paul Fitzgerald (Don Proctor), Grace Rex (Cheryl’s Co-Worker), Alex Anfanger (Ted’s Toner Box Associate), Amanda Naughton (Female Editor), Adrian Martinez (Hernando), Nolan Carley (Western Union Employee), Joey Slotnick (Retirement Home Administrator), Shirley MacLaine (Edna Mitty), Gary Wilmes (Walter’s Dad). Directed by Ben Stiller and produced by Stuart Cornfeld, Samuel Goldwyn Jr., John Goldwyn, and Stiller. Screenplay by Steve Conrad, based on his screen story, based on the short story by James Thurber. Idris Elba (Nelson Mandela), Naomie Harris (Winnie Madikizela), Tony Kgoroge (Walter Sisulu), Riaad Moosa (Ahmed Kathrada), Zolani Mkiva (Raymond Mhlaba), Simo Mogwaza (Andrew Mlangeni), Fana Mokoena (Govan Mbeki), Thapelo Mokoena (Elias Motsoaledi), Jamie Bartlett (James Gregory), Deon Lotz (Kobie Coetzee), Terry Pheto (Evelyn Mase), Zikhona Sodlaka (Nosekeni), S’Thandiwe Kgoroge (Albertina Sisulu), Tshallo Sputla Chokwe (Oliver Tambo), Sello Maake (Albert Luthuli). Directed by Justin Chadwick and produced by Anant Singh and David M. Thompson. Screenplay by William Nicholson, based on the autobiography of Nelson Mandela. Felicity Jones (Nelly), John Kavanagh (Rev. William Benham), Tom Attwood (Mr. Lambourne), Susanna Hislop (Mary), Tom Burke (Mr. George Wharton Robinson), Tommy Curson-Smith (Geoffrey), David Collings (Governor), Michael Marcus (Charley Dickens), Kristin Scott Thomas (Mrs. Frances Ternan), Perdita Weeks (Maria Ternan), Ralph Fiennes (Charles Dickens), Richard McCabe (Mr. Mark Lemon), Gabriel Vick (Mr. Berger), Mark Dexter (Mr. Augustus Egg), Joseph Paxton (Mr. Pigott). Directed by Ralph Fiennes and produced by Christian Baute, Carolyn Marks Blackwood, Stewart Mackinnon, Gabrielle Tana. Screenplay by Abi Morgan, based on a book by Claire Tomalin. 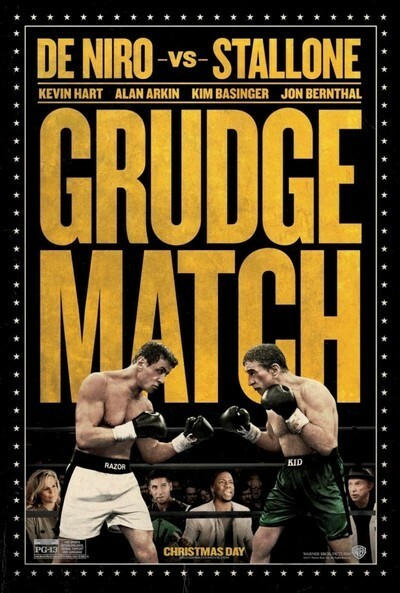 Jim Lampley (Himself), Sylvester Stallone (Henry ‘Razor’ Sharp), Robert De Niro (Billy ‘The Kid’ McDonnen), Rich Little (Boxing Announcer), Ireland Baldwin (Young Sally (as Ireland Basinger Baldwin)), Anthony Bean (Dante Slate, Sr.), Mason Mackie (Young Dante), Kevin Hart (Dante Slate, Jr.), Barry Primus (Joey the Bartender), Oscar Gale (Shipyard Co-Worker), Frederick Douglas Plunkett Jr. (Walter), BJ Guyer (Jabby the Puppet), Jen Kober (Tough Female Customer), Anthony Anderson (Mr. Sandpaper Hands), Carrie Lazar (Nora). Directed by Peter Segal and produced by Michael Ewing, Bill Gerber, Mark Steven Johnson, Ravi D. Mehta, and Segal. Screenplay by Tim Kelleher and Rodney Rothman, based on a story by Tim Kelleher. 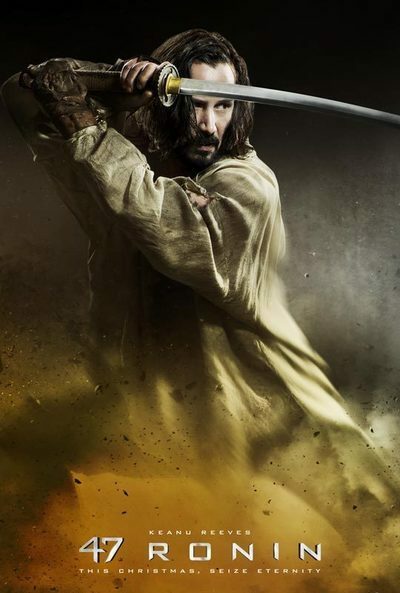 Keanu Reeves (Kai), Hiroyuki Sanada (Ôishi), Ko Shibasaki (Mika (as Kô Shibasaki)), Tadanobu Asano (Lord Kira), Min Tanaka (Lord Asano), Jin Akanishi (Chikara), Masayoshi Haneda (Yasuno), Hiroshi Sogabe (Hazama), Takato Yonemoto (Basho), Hiroshi Yamada (Hara), Shû Nakajima (Horibe), Cary-Hiroyuki Tagawa (Shogun Tsunayoshi), Neil Fingleton (Lovecraftian Samurai), Rinko Kikuchi (Witch), Natsuki Kunimoto (Riku). Directed by Carl Rinsch and produced by Pamela Abdy, Eric McLeod, and Scott Stuber. Screenplay by Chris Morgan and Hossein Amini, based on a screen story by Morgan & Walter Hamada. Emma Thompson (P.L. 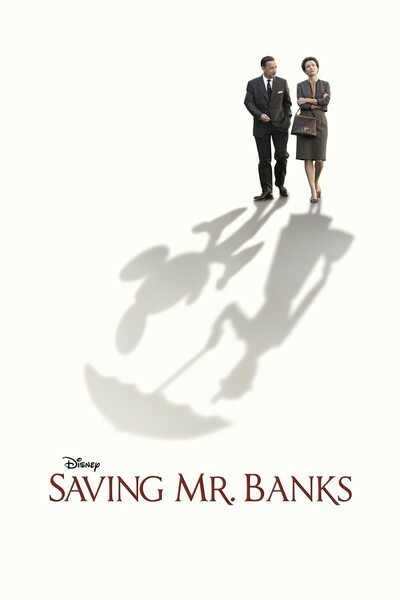 Travers), Tom Hanks (Walt Disney), Annie Rose Buckley (Ginty), Colin Farrell (Travers Goff), Ruth Wilson (Margaret Goff), Paul Giamatti (Ralph), Bradley Whitford (Don DaGradi), B.J. Novak (Robert Sherman), Jason Schwartzman (Richard Sherman), Lily Bigham (Biddy), Kathy Baker (Tommie), Melanie Paxson (Dolly), Andy McPhee (Mr. Belhatchett), Rachel Griffiths (Aunt Ellie), Ronan Vibert (Diarmuid Russell). Directed by John Lee Hancock and produced by Ian Collie, Alison Owen, Philip Steuer. Screenplay by Kelly Marcel and Sue Smith. Bérénice Bejo (Marie Brisson), Ali Mosaffa (Ahmad), Tahar Rahim (Samir), Pauline Burlet (Lucie), Elyes Aguis (Fouad), Jeanne Jestin (Léa), Sabrina Ouazani (Naïma), Babak Karimi (Shahryar), Valeria Cavalli (Valeria), Aleksandra Klebanska (Céline), Jean-Michel Simonet (Médecin), Pierre Guerder (Juge), Anne-Marion de Cayeux (Avocate), Eléonora Marino (Collègue Marie), Jonathan Devred (Agent aéroport). Written and directed by Asghar Farhadi (In French and Persian with subtitles). Produced by Alexandre Mallet-Guy. 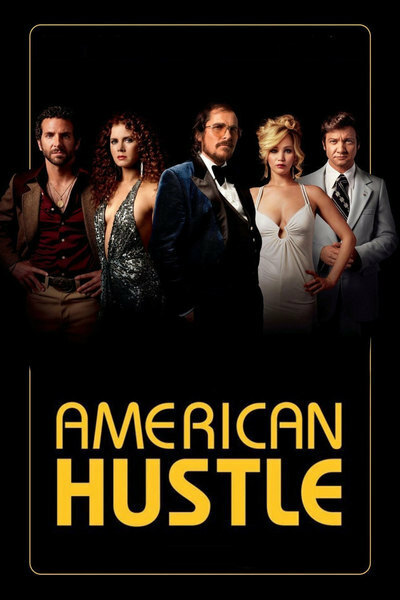 Christian Bale (Irving Rosenfeld), Bradley Cooper (Richie DiMaso), Amy Adams (Sydney Prosser), Jeremy Renner (Mayor Carmine Polito), Jennifer Lawrence (Rosalyn Rosenfeld), Louis C.K. (Stoddard Thorsen), Jack Huston (Pete Musane), Michael Peña (Paco Hernandez / Sheik Abdullah), Shea Whigham (Carl Elway), Alessandro Nivola (Anthony Amado), Elisabeth Röhm (Dolly Polito (as Elisabeth Rohm)), Paul Herman (Alfonse Simone), Saïd Taghmaoui (Irv’s Sheik Plant (as Said Taghmaoui)), Matthew Russell (Dominic Polito), Thomas Matthews (Francis Polito). 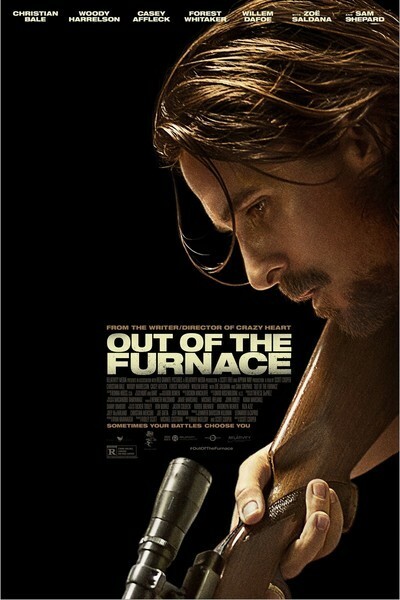 Directed by David O. Russell and produced by Megan Ellison, Jonathan Gordon, Charles Roven, Richard Suckle. Screenplay by Eric Warren Singer and Russell. 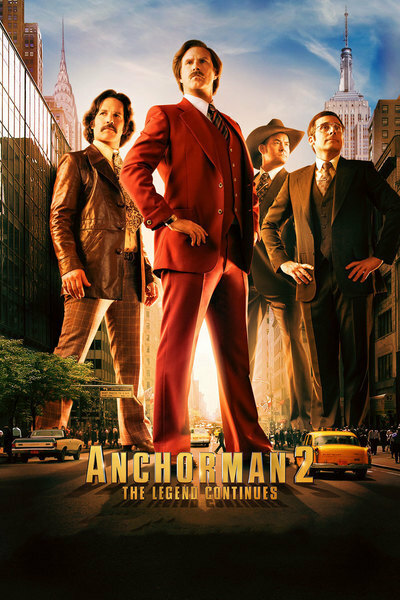 Will Ferrell (Ron Burgundy), Steve Carell (Brick Tamland), Paul Rudd (Brian Fantana), David Koechner (Champ Kind), Christina Applegate (Veronica Corningstone), Dylan Baker (Freddie Shapp), Meagan Good (Linda Jackson), Judah Nelson (Walter Burgundy), James Marsden (Jack Lime), Greg Kinnear (Gary), Josh Lawson (Kench Allenby), Kristen Wiig (Chani Lastnamé), Fred Willard (Ed Harken), Chris Parnell (Garth), Harrison Ford (Mack Tannen). Directed by Adam McKay and produced by Judd Apatow, Ferrell, and McKay. Screenplay by Ferrell & McKay, based on their characters. Stanley Tucci (Fred), Alice Eve (Velvet). Directed by Neil LaBute and produced by Michael Corrente, Daryl Freimark, Tim Harms, Trent Othick, and David Zander. Screenplay by LaBute. 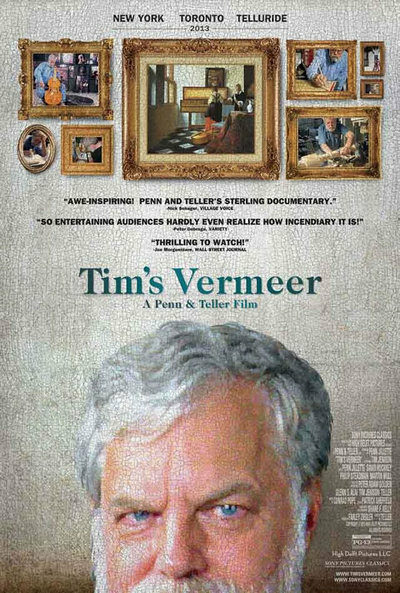 Featuring: Tim Jenison, Penn Jillette, Martin Mull, Philip Steadman (as Prof. Philip Steadman), David Hockney, Colin Blakemore, Leslie Jenison, Eric Armitage, Daniélle Lokin, Bob Groothuis, Ankie Bonnet, Ruth Steadman, Mike Hayes, Nicola Vigini, Graham Toms. A documentary directed by Teller and produced by Penn Jillette and Farley Ziegler. Screenplay by Jillette and Teller. Woody Harrelson (Harlan DeGroat), Dendrie Taylor (DeGroat’s Date), Carl Ciarfalio (Man at Drive In), Nancy Mosser (Woman at Drive In (as Nancy Mosser Bailey)), Christian Bale (Russell Baze), Casey Affleck (Rodney Baze Jr.), Zoe Saldana (Lena Taylor (as Zoë Saldana)), Sam Shepard (Gerald ‘Red’ Baze), Bingo O’Malley (Rodney Baze Sr.), Tom Bower (Dan Dugan), Willem Dafoe (John Petty), Bobby Wolfe (Dwight Van Dunk), Charles David Richards (Chaplain), Forest Whitaker (Chief Wesley Barnes), John W. Kleer (Man at Trailer Park). Directed by Scott Cooper and produced by Michael Costigan, Leonardo DiCaprio, Ryan Kavanaugh, Jennifer Davisson Killoran, Ridley Scott. Screenplay by Brad Ingelsby and Cooper.